“UFC on FOX: Shogun vs. Vera” takes place Saturday inside Staples Center in Los Angeles, California. The first preliminary bout is scheduled to start at approximately 5PM ET/2PM PT. Make sure to stay with 5thRound.com all night for our live coverage. FUEL TV will kick off the festivities by airing six live prelims. FOX will then pick up the freebie baton and broadcast the main card beginning at 8PM ET/5PM PT. Saturday’s show will feature a pair of light heavyweight tangos. 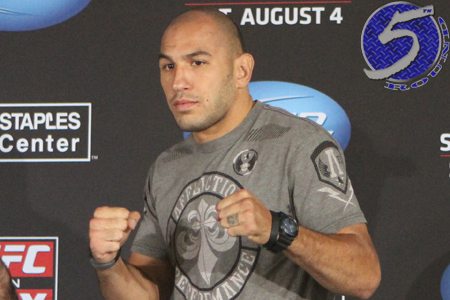 Brandon Vera (Pictured) battles Mauricio “Shogun” Rua the night’s featured attraction, while Lyoto Machida meets Ryan Bader in the co-main event. Whoever posts the most impressive victory has been promised next dibs at the 205-pound crown.